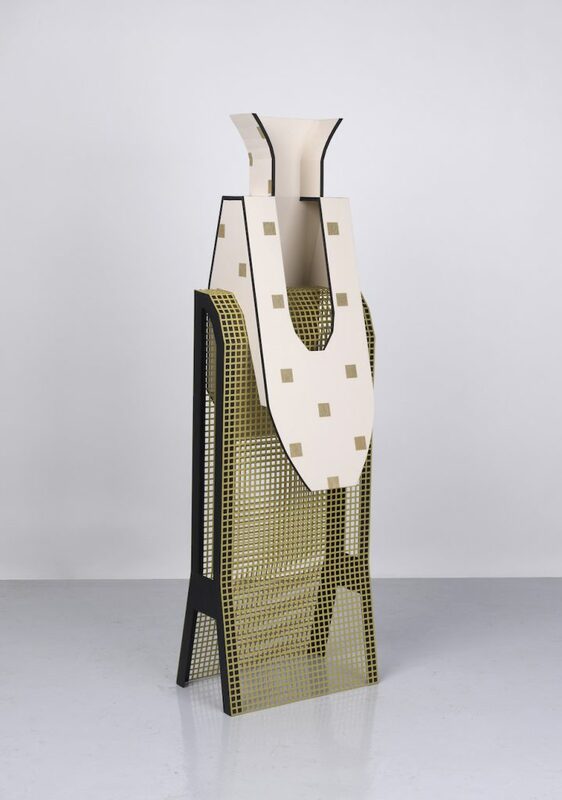 Diane Simpson is interested in a seamless shifting from body to architectural form in the melding of the wearable with the structural un-wearable. Her sculptures are a very unique sentence in the conversation around architecture, the body, feminism and industrialism. Simpson has recently been rediscovered after years of not showing in mayor museums or galleries.